Stranger Worlds: “I imagine this midnight moment's forest"
“I imagine this midnight moment's forest"
“Poetry is language in orbit." 2014 was the year I discovered this; the first book of poetry I read by myself was The Hawk in the Rain by Ted Hughes, which captured my imagination with its startling images and formed the genesis of my love for the genre. To this day, Hughes is my favourite poet, because it was he who took me by the hand and led me into the world of poetry. Since then I've forayed through the world of verse, not as widely, perhaps, as I should have, but more than some, and in particular 2015 saw me falling in love with various poets. In what will essentially be a few mini-reviews, I'm going to share my findings with you. What is poetry? How does one write it? What is its essence; what is the essence of the poet? 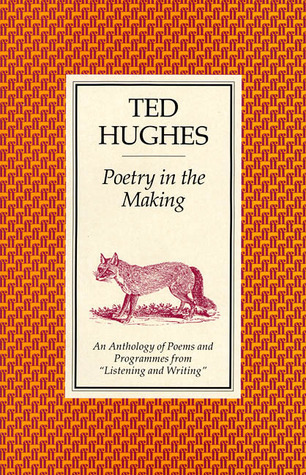 Poetry in the Making is a series of transcriptions of radio programmes presented by Hughes, unlocking the enigma of poetry. Ted Hughes is, as I mentioned, my #1 bae and long-time love. This book was incredibly interesting and helpful. Its various chapters give general writing advice and talk about specific poetic genres/subjects -- the weather, people, landscape. Hughes quotes many poets to illustrate his points, as well as giving his own poems as examples. “Imagine what you are writing about. See it and live it. Do not think it up laboriously, as if you were doing mental arithmetic. Just look at it, touch it, smell it, listen to it, turn yourself into it. When you do this, the words look after themselves, like magic." 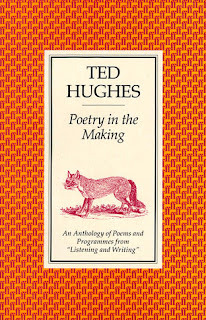 One of my favourite bits of the book was that in which Hughes compares writing poetry to hunting. Growing up in rural Yorkshire Hughes spent most of his early life outdoors, and he had a passion for fishing. He imagines a poem as a fish, which the poet -- the fisherman -- desires to catch. The fisherman, he says, must lie very still on the bank holding his line, which has a little coloured float that bobs on the surface of the pond. In the fisherman's mind, the whole world shrinks to just that little float, and when it moves, he says, it is as if an electric shock runs through the fisherman. That's the feeling a truly good poem will give its reader. As the fisherman lies there he enters a sort of trance, and he can almost sense the fish swimming around deep in the pond. Likewise, the poet can sense the words he is using, swimming just outside his consciousness: this is the cloud of words that surrounds any one word, its shades of meaning and shifting connotation. When a poet chooses just the right word, he can catch the fish. This is, of course, my paraphrase of Hughes' words, and for the truly clear and eloquent description you'll have to read the book. But that idea has captivated me: a poem is like a wild animal, beautiful and elusive and difficult to keep alive, but once caught, marvellous. John Keats (1795-1821) is one of the most important and best-loved Romantic poets (the Romantics were an English school of poetry). Before his tragic death from consumption at the age of twenty-five, Keats was incredibly prolific, and his voice lives on, generation after generation. I read the Complete Works of Keats -- a weighty task, but a worthwhile one -- as part of my preparation for Oxford interview. It was unsuccessful in getting me in -- I'm not sure that I've told you guys, but they gave me the Thumbs Down -- but it was wholly successful in introducing me to a wonderful poet. Emotion quivers in every one of Keats' poems. He was a Romantic in the truest sense -- a dreamer of dreams, a lover of words, a man of great passion -- and, ultimately, he could not survive in our harsh and acerbic world. Within the Complete Works there are some poems that are not of the highest quality -- he was only twenty-five when he died, and the book reproduces all of his work, much of it posthumously, including the low moments -- but all of it has a spark of genius, and some of it is flawlessly stunning. Reading Keats has inspired me to read other Romantics -- I'm going to venture into Coleridge next -- and has given me a new faith in poetry and the world in general. His soul shines through in these poems. They are beautiful works. ~ from Epistle to Charles Cowden Clarke // my newest writing-inspiration-quotation. I repeat this to myself often! ~ opening of Endymion // for me, this resonated with The Goldfinch:“it is a joy and a privilege to love a deathless object". The durability of art is a big theme of Keats', and one in which I'm very interested. Scroll back and reread The Thought-Fox, considering it in the light of the last two lines of Ode to a Nightingale. This, this is what truly interests me: the mind and reality; dreams and waking; universes here and universes elsewhere; what is and what could have been. 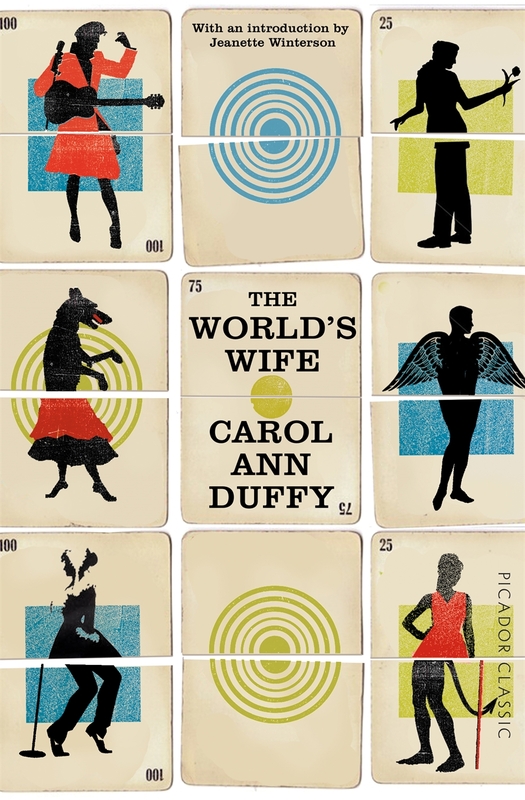 The World's Wife by Carol Ann Duffy is a collection of poems that takes famous men and imagines the women behind them. It is witty and perceptive, often funny and always fresh. I met Carol Ann Duffy -- who is the British Poet Laureate -- at the Edinburgh Fringe Festival in August. She signed my books and we chatted about editing. I was on Cloud Nine. The World's Wife is an absolutely brilliant book. If you're new to poetry, then I suggest Duffy as an excellent entry point (don't start with Keats!). This book is startling, shocking and hilarious by turn. I love Duffy's style -- she is very clever with rhyme, always new and never predictable -- and her voice is clear and perspicacious. Highly recommended. “Item I gyve unto my wief my second best bed ..."
~ my favourite poem in the book. Most of the poems are -- rightly -- condemnatory, but I think this is an absolutely beautiful tribute to Shakespeare. It makes me quite emotional. Rapture is a collection of fifty-two poems detailing a relationship from its beginning to its end. This one is also signed. Again, it's very accessible for someone not yet into poetry; you can read it through from start to finish like a continuous narrative, because it's telling a story. It is also utterly beautiful. Three very different poets, who together made up -- largely -- my poetic journey through 2015. These are three of my very favourites, and I'd so recommend them all (if you're starting out, try Rapture first, or The Hawk in the Rain by Ted Hughes). What poetry have you been reading? 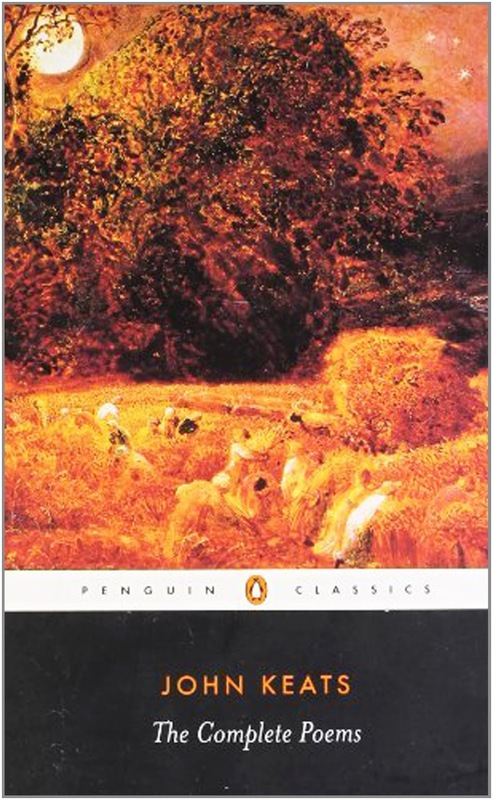 I stated my Coleridge intentions, but what contemporary poets do you like? Like any ravenous bookworm, I'm always looking for recommendations. I started getting into poetry last year, it's really beautiful. I'm so glad. Who've you been reading? And WHOA! You're going to Chile??? That's awesome... I would love to hear about your trip when you get back. Enjoy your little vacation! This is probably one of my favourite blog posts ever. Your selection of poetry is gorgeous & it's encouraging to hear the stories of others who are venturing into that wonderful realm :) Keats is a bear sometimes. I love the Victorian poets myself; Oscar Wilde and Matthew Arnold are two (although Arnold is better known as a literary critic). I've read a little bit of Arnold but no Wilde. ... Actually that's not true, I've read Reading Jail which I really like. For a second I thought I mistyped but no, I did mean bear :P as in he can be a little arduous to read sometimes. I remember in university I read a fair bit of Keats and while he is certainly grand, he can also be a little overbearing sometimes (in my humble opinion; probably because I prefer less technical and more abstract poetry). Ohh, like bear as in short for overbearing? GOT IT. *flails wildly* I need to read more poetry. It's been intriguing me more and more lately. <3 And I think it's awesome that you're going to Chile! I've been there once myself and it's a beautiful place. You must! Read Hughes I'm juST SAYING! I'm there right now, it is so beautiful! I haven't read much poetry lately, but Keats and Coleridge are two of my favorites - really interested in hearing what you think of him! Great post - makes me want to look into more poetry. That's too bad about Oxford, but I hope you're having a good time with your sister in Chile! I love this post! I've always wanted to read more poetry, but I can never seem to get beyond children's poetry, Shel Silverstien, and some Shakespeare. Oh, and Lewis Carroll. I do really like that on of Coleridge's that you emailed. The what if one. It's up on my wall now. "Falling love is glamorous hell." I like that. 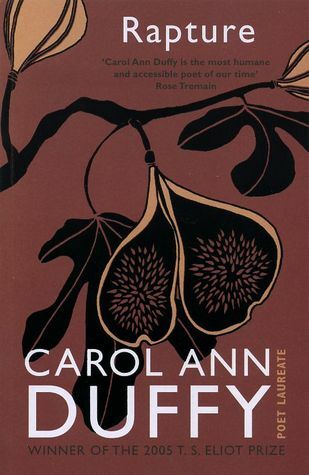 :) Maybe I'll see if I can find some of Carol Ann Duffy's poetry around here. Is it?! That makes me vair vair pleased. Falling love?! XD "Oh no, love is falling from the sky!" Ha. No. Falling IN love. But yes, get your Carol on! She is a babe.